Embracing The Real You. Especially For The Crazy Ones. There is a new weird habit I have now taken up. Or to put it correctly: has now taken me up, as it forced itself on me and wouldn't let go. It's late night blogging. Somehow, I can't seem to switch on, writing-wise, till when it is past midnight. Some of us are just very different. Almost like, crazy. When we do things our own way we end up doing it in no other person's way. Whenever we stop trying to fit in and let the real us flow through, we suddenly see the world on one side and ourselves, alone, on another side. Misfits. And today I am writing for anyone who is like that. 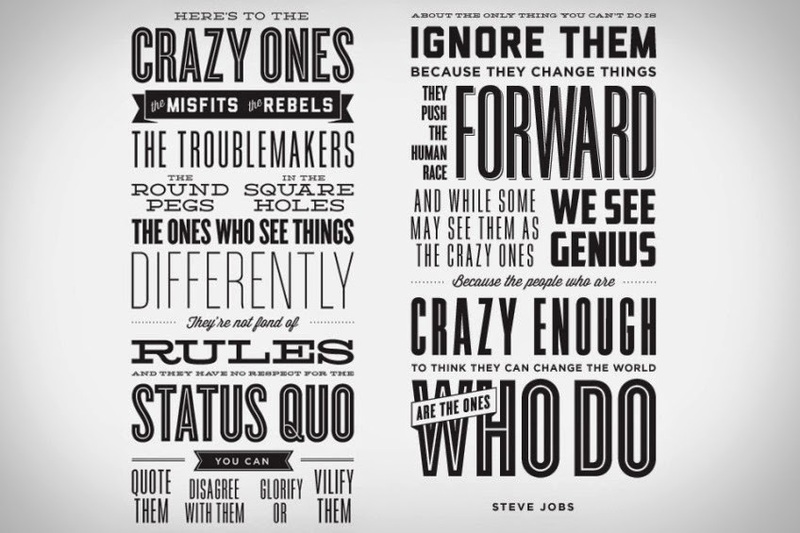 Not for all crazy ones, misfits and round pegs in square holes. No. I'm writing this post for only the ones whom nature has made that way, the ones who can't be anything else, who keep failing at fitting in and who are daily pressured to stop being different. I'm not writing for the musician or graphic artist who is trying to make everyone see him as different. I am writing for the people who can't help being different. For people like me, stuck in a world they don't fit in. I want to tell you that you regardless of how stupid and crazy you look when you do things your own way, when you embrace the real you within, it's the only real option you've got. Like a smoke, the real you will always sip out. And trying to cover it up is doing yourself harm, as you would be living below your creative capacity. You would be putting aside the things you are extremely good at (that, unfortunately, makes you weird) and focusing on the things you have no natural edge in (that makes you look like everyone else). I have a mind that works different than that of most people. Everyday, I come across people I have almost nothing in common with. Their actions are just as unreasonable to me as mine is to them. I fumble at small talks and do very well at big talks. The things I do easily are very tough for most other people and the things they do easily are very tough for me. I think too much. I keep to myself. I have no best friend. I love working solo. I don't know how to show that I'm angry and very rarely get angry. I skip food for work. I never give up. I enjoy reading and a thousand times more than talking. I get more work done at night than during the day. I'm a workaholic. I find it extremely difficult to lie and completely unable to pretend that it's the truth. I have an open mind towards most things; I seldom have a fixed opinion about anything or a made up mind. I enjoy volunteering and helping people for free. I'm constantly trying to show people that I'm not as smart as I look. My blogging is part of embracing the real me. I have books about the great people who were just as different as I am, and I occasionally read them to help me not feel too out of place. I picked a career path than will require intense use of my unique skills, so everyday I get to appreciate my being different. And most importantly I don't compare myself to anyone, it's the surest way to become either complacent or very sad. When you are different, crazy different, embracing the real you is your only ticket to a beautiful life.